How Do You Get Skinny Fast? 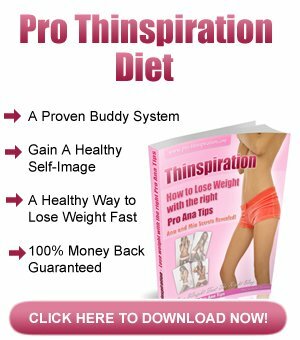 Many people want to know, how do you get skinny fast. The best answer is that there are many variables that work in aiding weight loss and that the effects on each individual will differ. This is because every person’s body reacts differently to situations. While that is the case, the basics of weight loss are pretty straightforward and similar for everyone. The simple way to look at it is, burn more calories than you consume. That is not all there is to getting skinny fast. There are other things that you can do to help this process. Here are a few tips to help you get skinny fast. Empower your weight loss and your pursuit of a skinny body by being informed. Figure out your goals and how to achieve them by knowing the numbers and doing the math. Figure the number of calories you need to loose weight. Keep track of what you are eating. Using these numbers reach a daily goal that will create a calorie deficit. For healthy weight loss the reduction in calories should be 15-20%. Having concrete numbers to keep your weight goals in check and help you to be successful at them. Eat more? How can that get you skinny fast? It is not eating more food it is about eating more often. Eating more often does not mean eating a larger amount. Having as many of six small meals a day will help you to get skinny fast. It will reduce hunger, which may cause you to eat less. Eating more often has many benefits. Just make sure that the meal sizes are appropriate. There is no need to eat very much at one time due to the fact that you will be eating again soon. You will be less likely to get hungry and if you do, there will be less time to wait until the next meal. Being stressed can actually cause your body to store fat. During stressful times a chemical is realized in the brain that has been found to aid in fat storage in you stomach area. Take the time to distress after work or school. Try deep breathing or listening or relaxing music to unwind after a stressful situation. Exercise helps in releasing stress too. Running and yoga are great stress relievers. There may be other activities that you enjoy that have stress reliving effects. Take the time to relax and distress. It might not have anything to do with you calorie intake, but it certainly does have an effect on your body and will help you loose weight. One of the most important things while loosing weight is to drink water, and plenty of it. It will help keep you hydrated and well for your exercise routine. Be sure to have water on hand while exercising too. Water helps to flush fat from your system. Something that water does is increase your metabolism. If you make a commitment to only drink water you will probably be consuming less calories, which of course will also add to your weight loss.